2018’s event is our fourth successive year in Europe, following the many fantastic gamesUR events held in the United States since 2009. We’re once again welcoming the very best speakers in player insight, player-centricity and research from around the world. In a lush new venue, 2017’s event welcomed 200 game developers from across Europe to London. 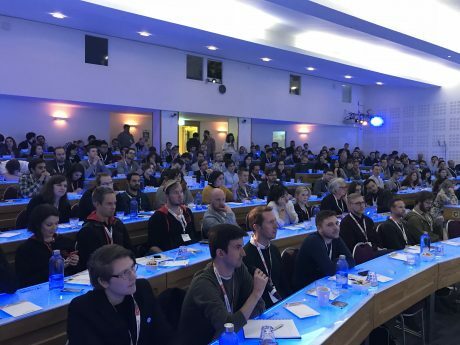 Talks from Rovio, Ubisoft, Nordeus and Sony London covered a diverse range of topics, including analytics, playtesting, Design Sprints, testing virality, and more. 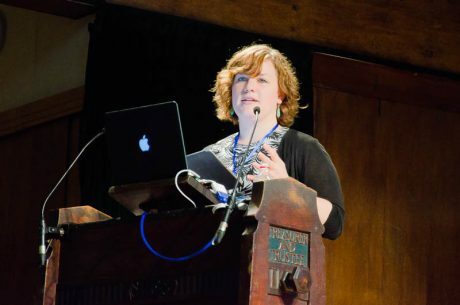 Morgane Schreiber shared the application of Self Determination Theory to the development of blockbuster Ghost Recon: Wildlands, and Paradox’s Jean-Luc Potte shed light on the tools and workflows his team use to achieve peak user research efficiency. It was very impressive and entertaining, and I learnt a lot. I’m really grateful that there is a conference on this specific topic, providing an opportunity to network and exchange experiences. Looking forward to attending again. All ‘big players’ were there. People were extremely open to share knowledge and discuss different problems and topics. Lectures were great. In 2016 our event returned to Conway Hall, in the heart of London. Among other incredible talks, EA’s Johan Dorell shared DICE’s approach to communicating research data to devteams, and Ubisoft’s Laura Glibert talked through best practices for VR playtesting. Some great speakers were included, particularly the chap from Microsoft. I thought his talk was really insightful and thought provoking. Useful, interesting, met some great people! This was a thoroughly enjoyable event and I have learnt a lot from the range of speakers who gave their time to present. 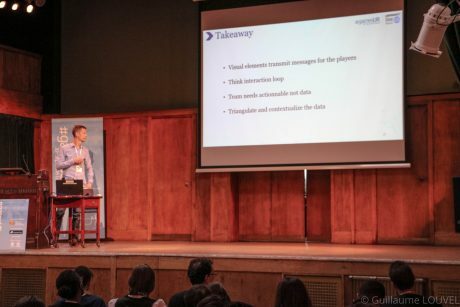 Our inaugural European event in 2015 welcomed Riot Games, Ubisoft, Deep Silver Volition and more to Conway Hall in London. Highlights included Tori Leonard sharing Big Fish’s approach to competitor research in the free-to-play space, and Riot’s Austin Harley sharing the story of Summoner’s Rift: League of Legends’ biggest ever content update. Great organisation, interesting speakers, great networking opportunities. Interesting and relevant talks presented in an atmosphere that encouraged discussion. A good mix of behavioral and technical approaches. The talks were very informative. There was a good balance between the talks focused on techniques or methodologies, and the ones that were about games user reseach dynamics in a company setting. I am coming back next year!